Daily top story headlines via Whatsapp! 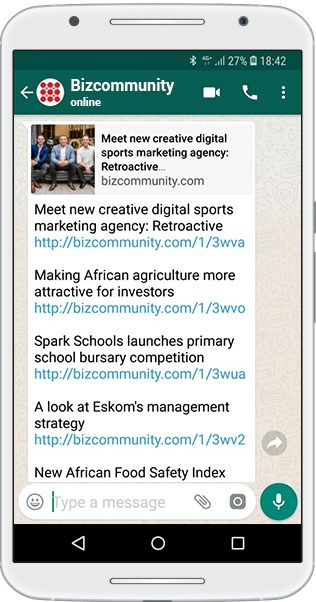 Daily Bizcommunity news via Whatsapp! WhatsApp us your first and last name. We will never share your details with third parties. If you ever want to stop receiving updates, simply send us a WhatsApp with the message "STOP".